Createspace Independent Publishing Platform, 9781542601634, 238pp. What if the road not taken was actually the path meant to be? Finn Lanigan kissed a young Blythe Heywood one last time under a star-scattered Idaho sky. "If you change your mind, here's this." It was the last kiss that ever weakened her knees, the last sky she noticed for over a dozen years. Then she left, returning to her fianc , the wedding she'd committed to, and the secure life she'd yearned for since she was a little girl. Thirteen years later, her husband leaves Blythe for his young associate. Devastated, she's unable to imagine the next chapter of her life as she packs her family's belongings. With only the name of the small town where he once lived and the memory of their last kiss, Blythe heads across the Pacific Northwest in search of Finn. What she finds in the foothills of Blue Mountain challenges everything she thought she knew. She never expected the changes that face her, but it is her destiny...and destinies cannot be denied. 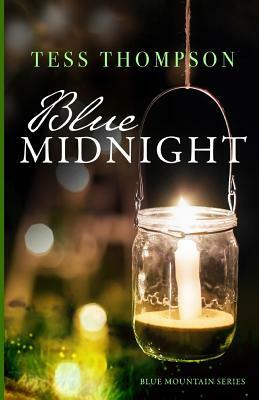 The first book of the Blue Mountain Series, laced with Thompson's lovable but complex characters, "Blue Midnight" is a mature love story about second chances, family, and the complexities of trust and vulnerability after betrayal.